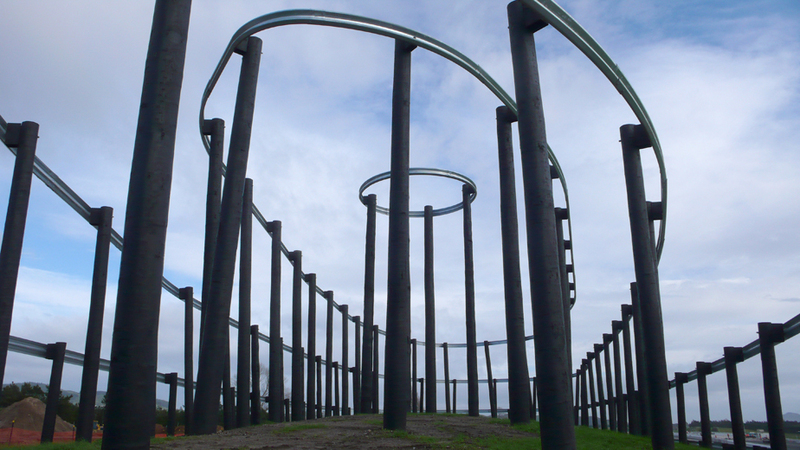 Bound Around : Regan Gentry. 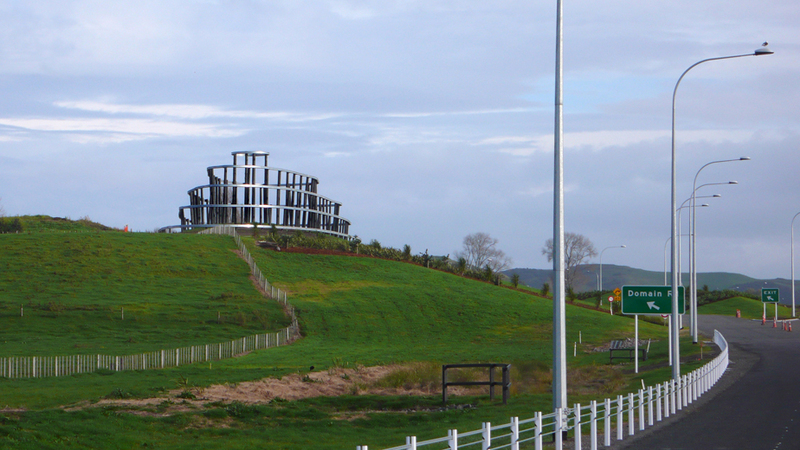 A gateway project for Tuaranga City. 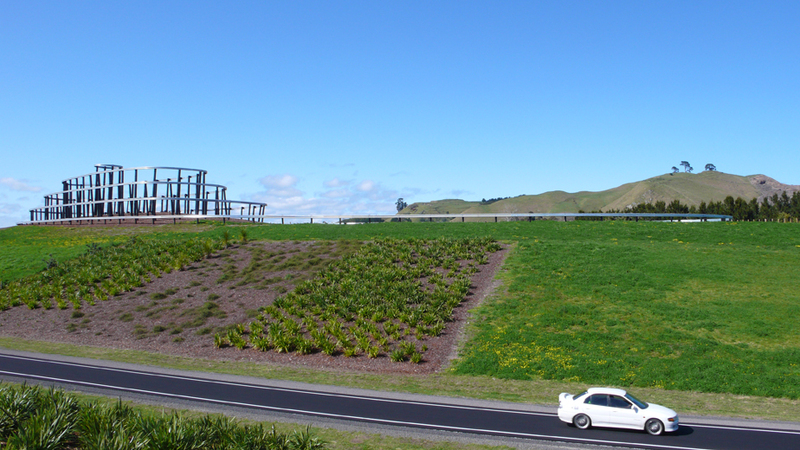 The dual work signifies the start of the Tauranga Eastern Link, a $450 million roading project of national significance. 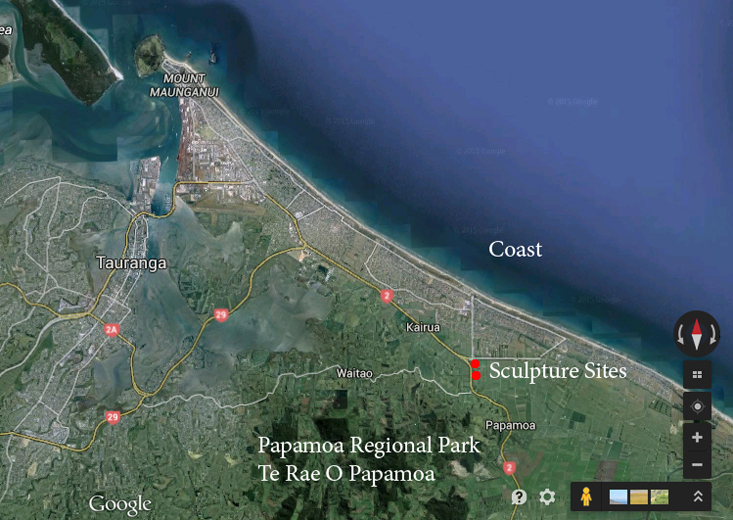 The concept for the work stemmed from the hills of the well trodden Papamoa Hills Regional Park that overlook the gateway area and also onward out to the nearby coast. 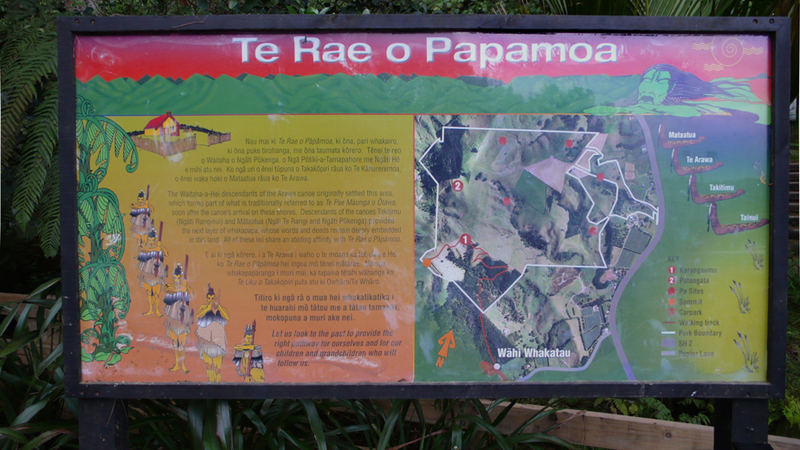 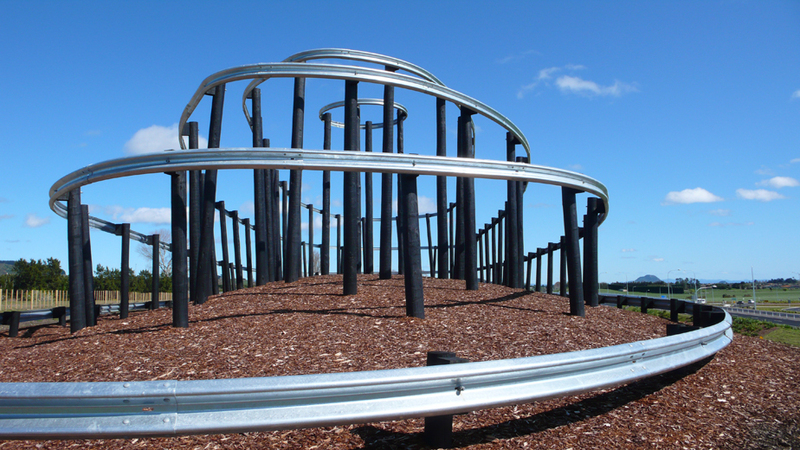 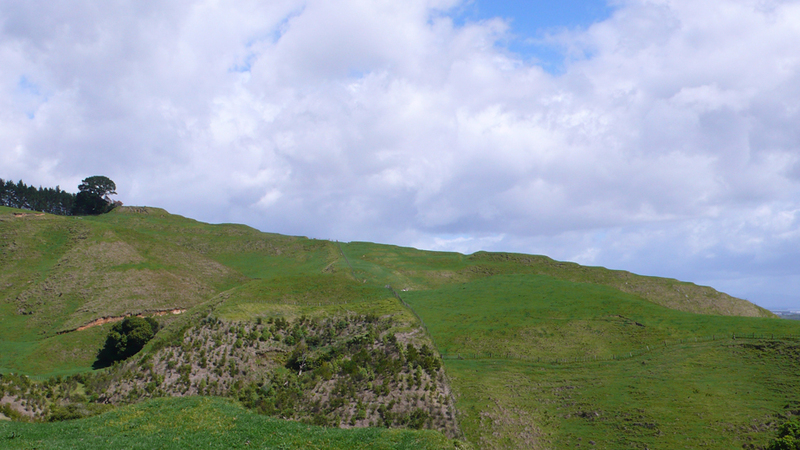 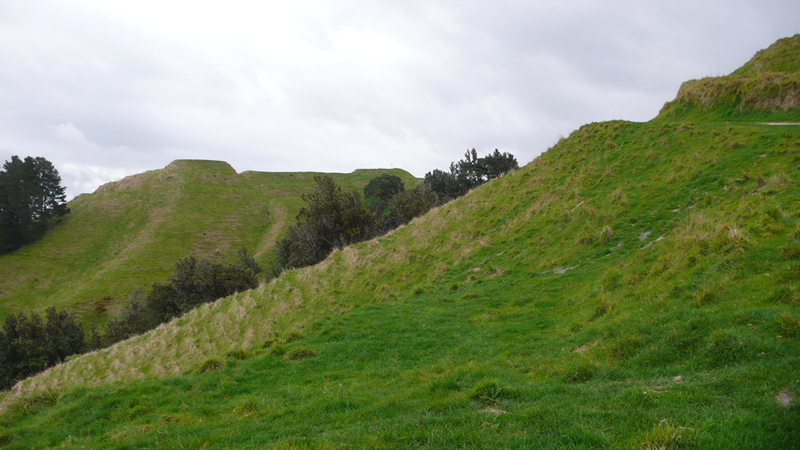 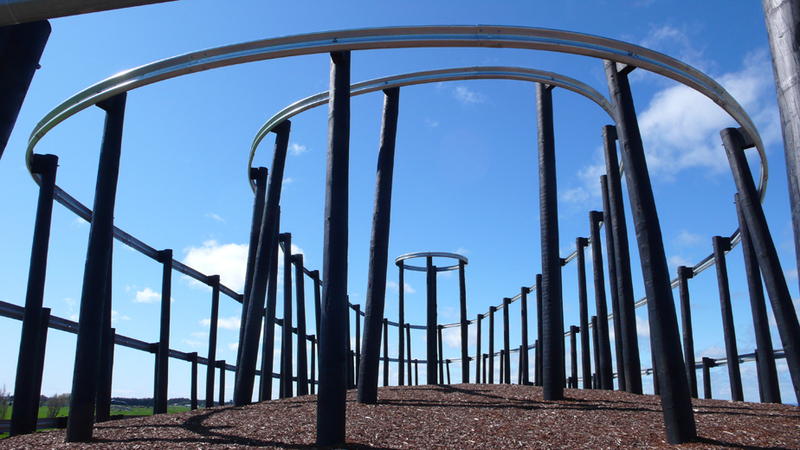 The park is home to Te Rae O Papamoa; a massive historic pa complex that once housed 5,000 Maori in pre-colonial times. 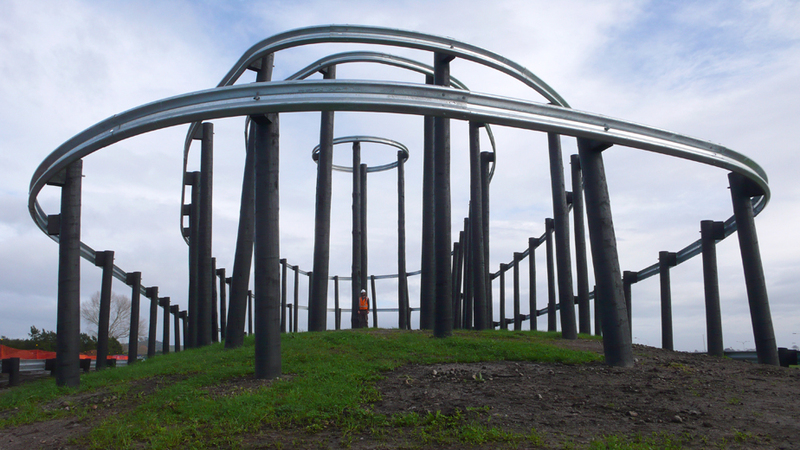 The rings loosely mimic the land-form patterns of a 'pa' site or the contour lines of an imagined mountain. 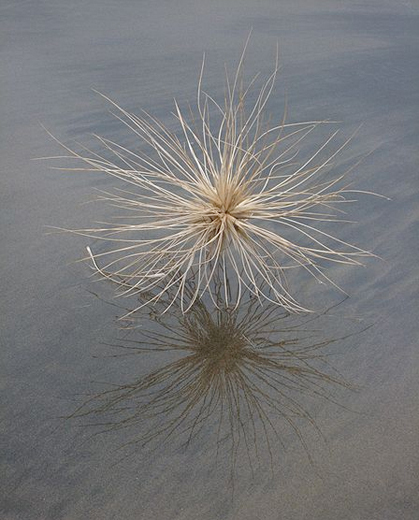 The jubilant Spinifex design work is rooted in the form of the Spinifex grass seed head seen commonly around the coastlines of the area and beyond. 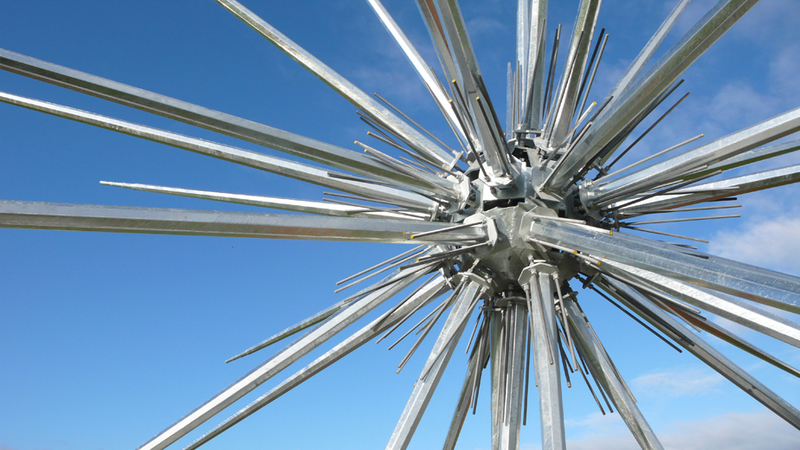 As a botanical form, its task is to make a journey - which happened to be the theme for the brief. 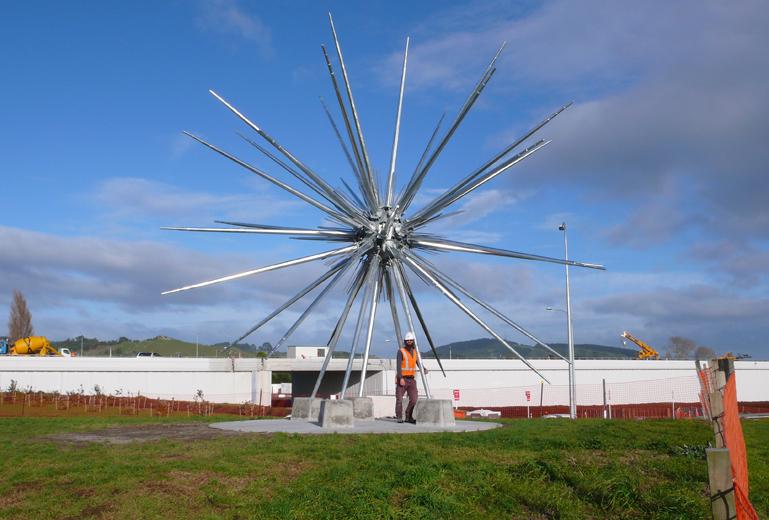 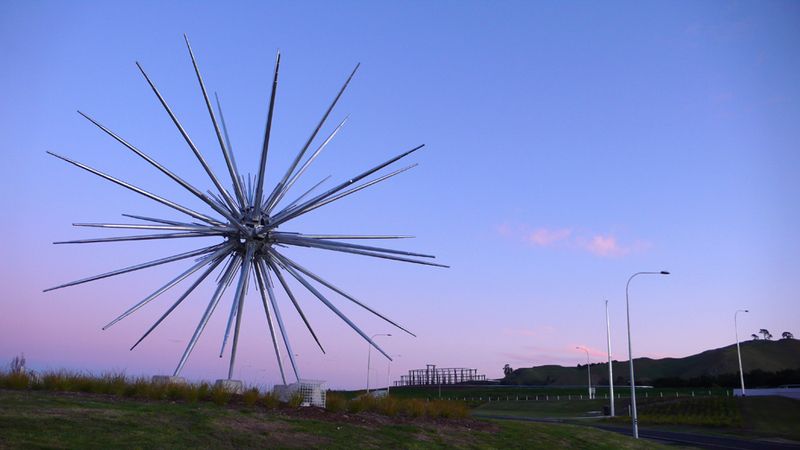 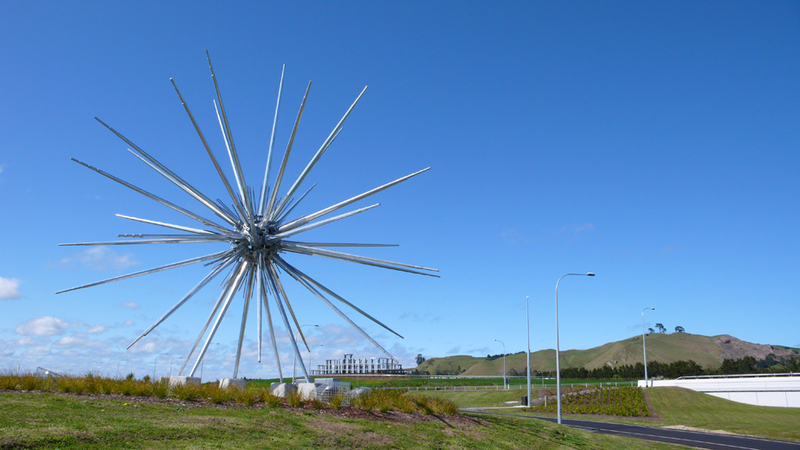 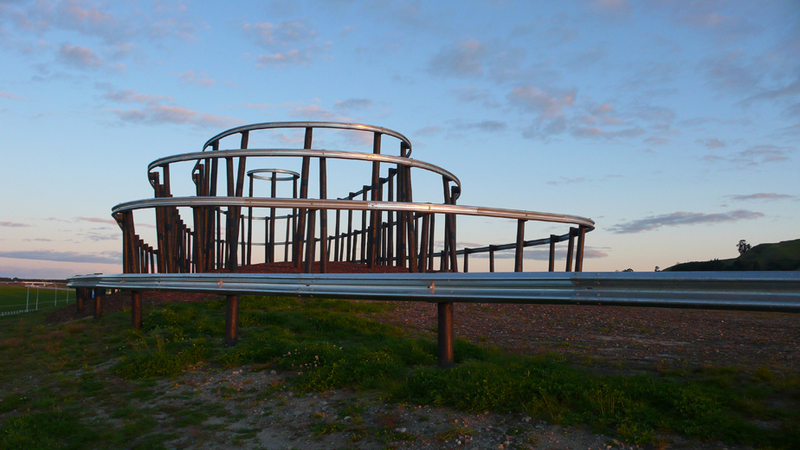 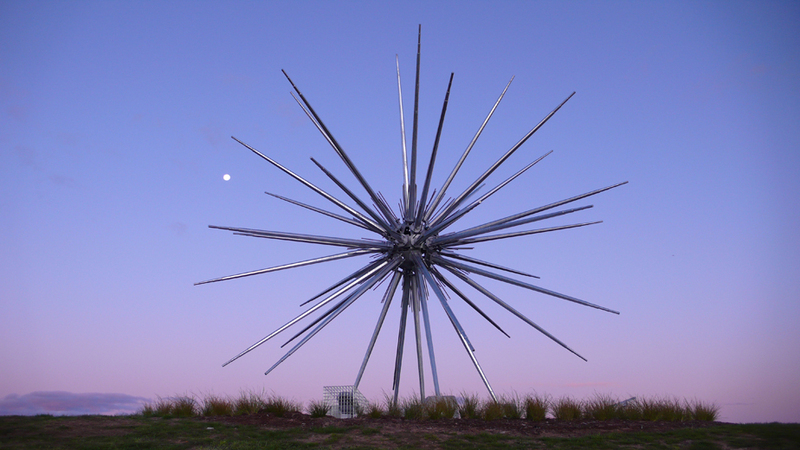 The Spinifex is 9m diameter, made from galvanized steel, and streetlight octagonal poles. 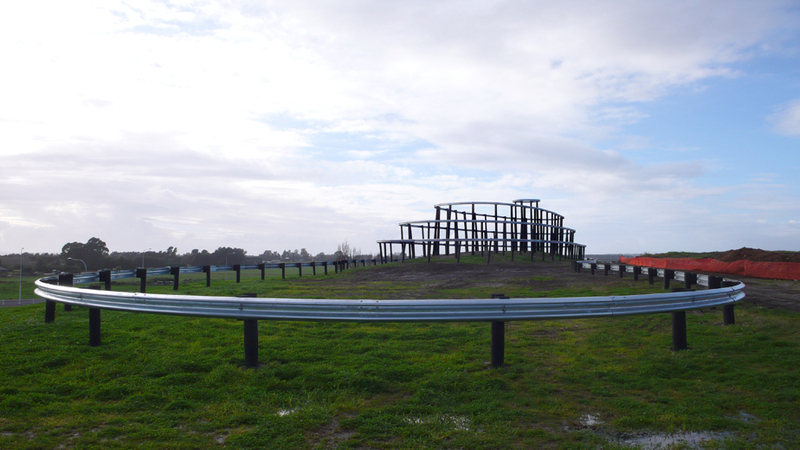 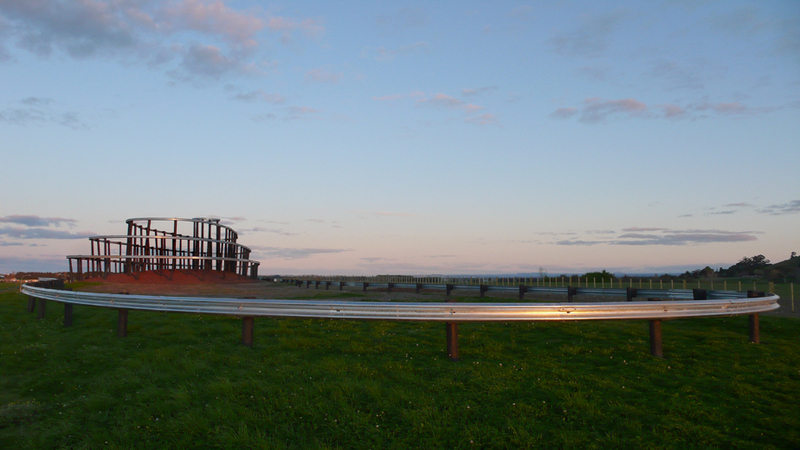 The pa site is made from guardrail - roadside crash barrier, and tanalised posts. 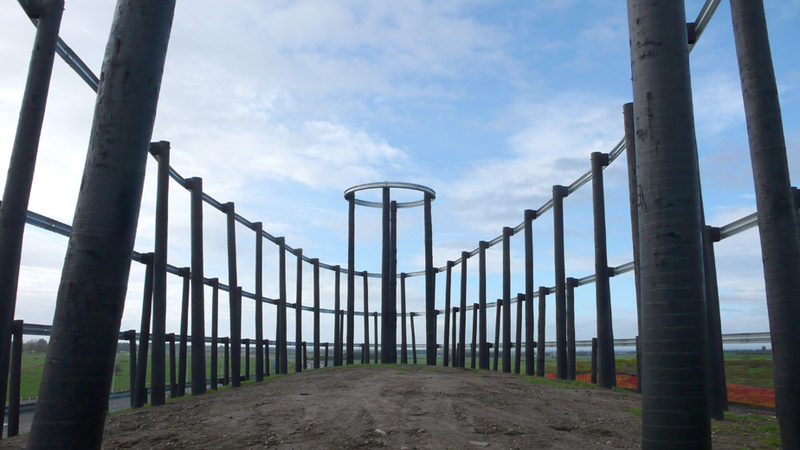 9m high, 130 x 30m footprint. 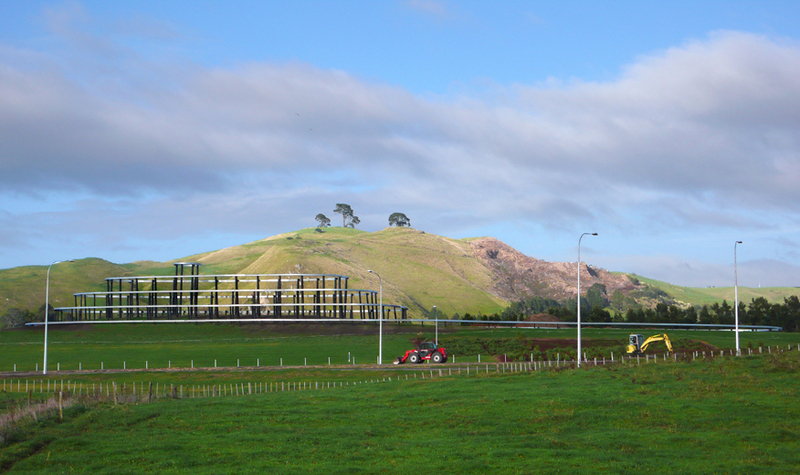 Planting and remedial ground works are yet to happen at the sites. 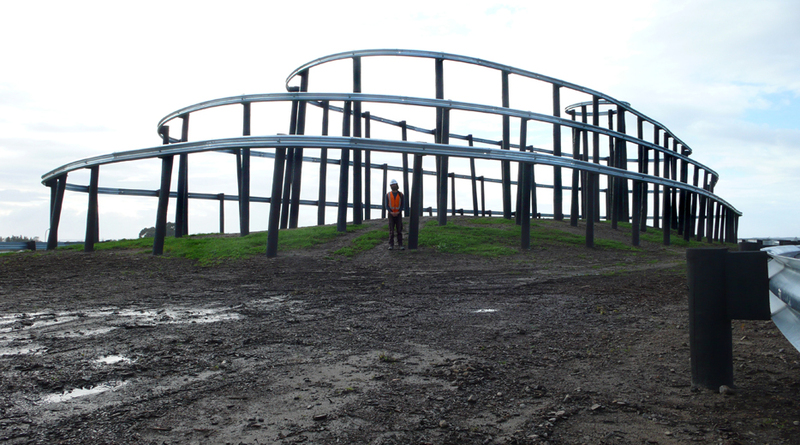 Further images will be posted once those aspects are completed. 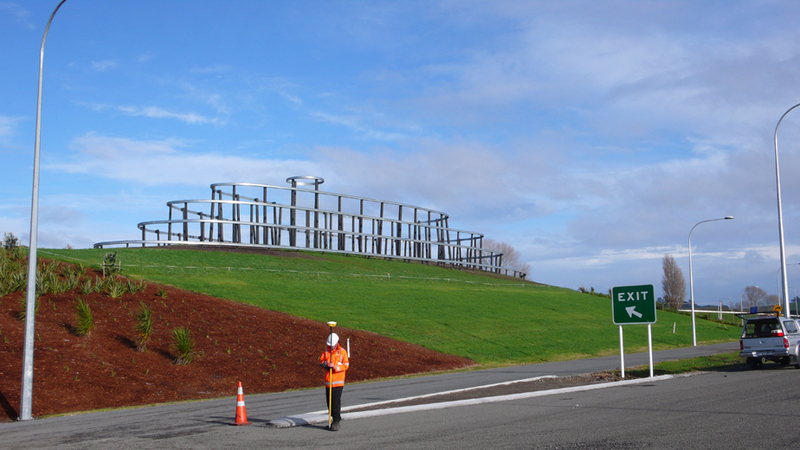 Commissioned by New Zealand Transport Agency, Papamoa, Tauranga, New Zealand.